Most of us would agree that a little self-pampering is a good form of stress relief. Some would prefer soaking in a bath full of bubbles in candlelight, others might opt for having a massage or a facial… Either way a little “me time” and a treat to yourself feels quite luxurious – what’s not to like?? many bath products on the market are full of industrial chemicals. candles can contain almost as many toxins as cigarettes [click here for more]. parabens in facial products MAY be hormone disruptors and may be highly detrimental to human health. Granted, there is a lot of scaremongering out there on this one. It can be confusing reading the endless articles in the media on the subject, and there are many grey areas where more research is necessary. HOWEVER, my logic says to me that it’s really quite simple: why use products which MAY be seriously damaging to my health when there are other, natural alternatives…? 90% of the chemical ingredients used in self care products have never been fully evaluated for safety. Many of us use endless cosmetics without even consciously realising it. On a daily basis we may use deodorant, toothpaste, shower gel, hand wash, shampoo, conditioner, facial wash, cleanser, moisturiser. 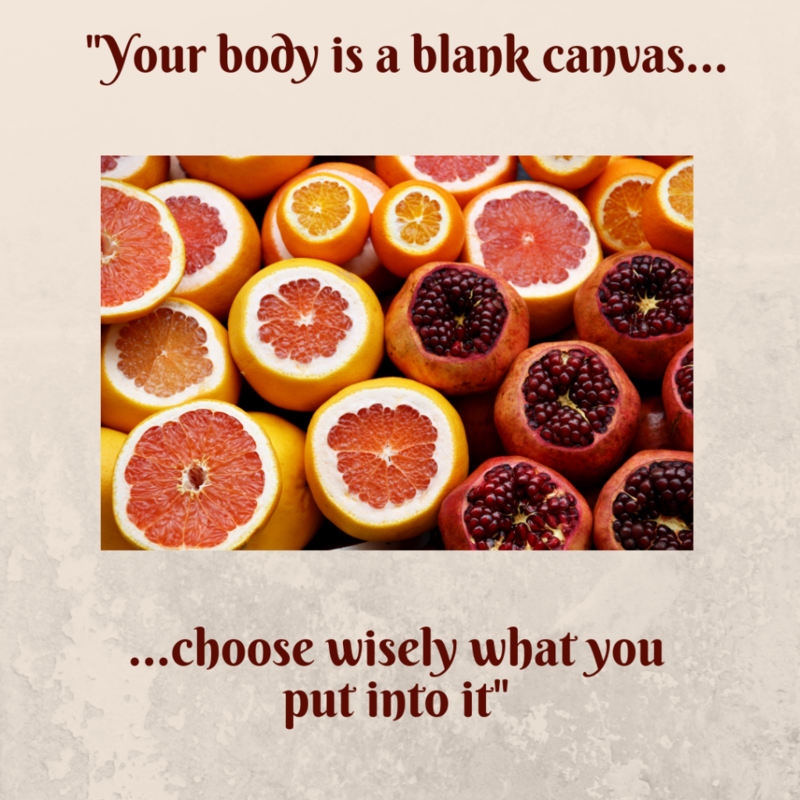 In addition there are those products which we perhaps use less often: facial masks, exfoliators, bath products, hair masks, hair gels & oils, foot balms, antiseptic creams… Surely then our choice of self-care products matters just as much as our choice in nutrition? …then it is worth re-vamping our bathroom cabinets to contain these? Our face and scalp absorb 5-10 times more quickly than other parts of the body, so facial and hair care products immediately have more potential for damage. Hair products are absorbed into the scalp, AND then wash over the rest of the body. Consider also that reading the label on a “typical” shampoo bottle, “you may see as many as 20 ingredients, many of which have been synthesized in the lab”. Generally speaking, those products which we wash off will have less chance of penetration. Some products spend much longer on our skin: consider body creams; hair and face masks; deodorants; moisturisers, make-up. Deodorants used on the armpits are relatively close to the breast. Aluminium is a common ingredient in deodorants, and can clog lymph nodes in this area. Aluminium has been found in breast tumours so using such deodorants MAY present cause for concern. 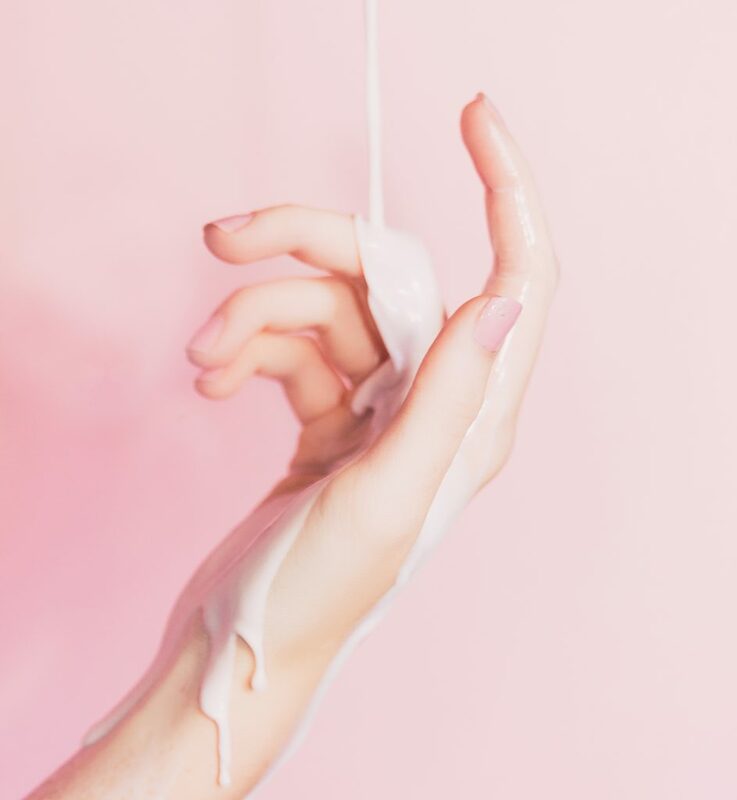 When it comes to our children’s skin, we surely want to avoid all toxins: consider the sheer quantity of creams, powders and oils we often drown our babies in… A particularly worrying example is eczema creams which often contain steroids (and this is made more poignant when we consider the belief – held by many – that numerous of the chemically laden moisturising creams on the market are one of the chief causes of eczema in the first place). 1. If I am soaking in a bath it may seem wonderful to watch those large, soapy bubbles around me, but these are typically created by a surfactant or detergent (usually containing petrochemicals). Try instead a product containing coconut oil, which will produce bubbles whilst also offering a host of health benefits. It’s naturally antibacterial and anti fungal, so as well as being an effective, natural moisturiser it will boost your immunity too. 2. If you don’t feel the bubbles themselves are such a necessity, then how about going for a bath oil instead? 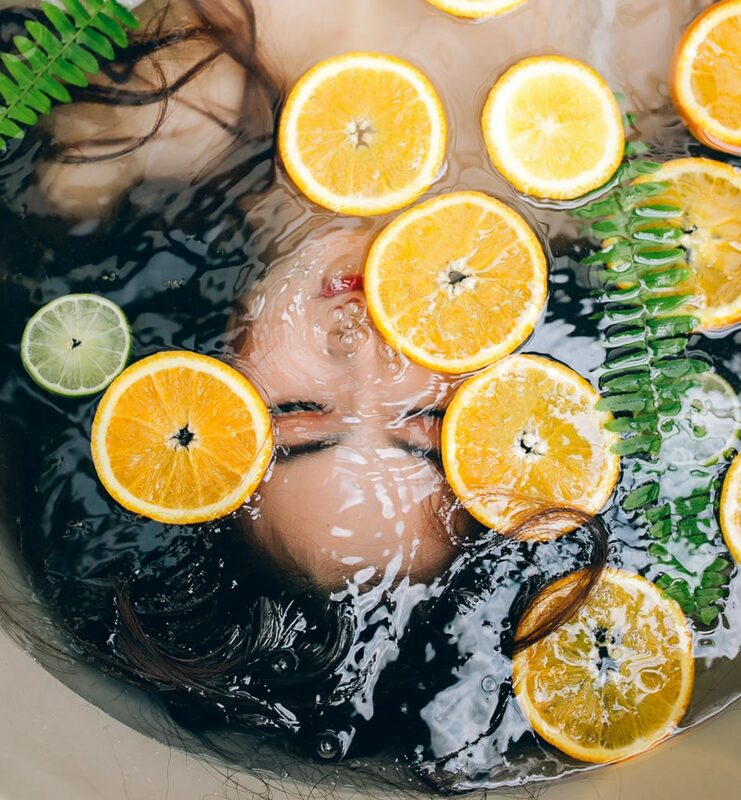 There are many natural bath oils on the market, or you might choose to create your own. 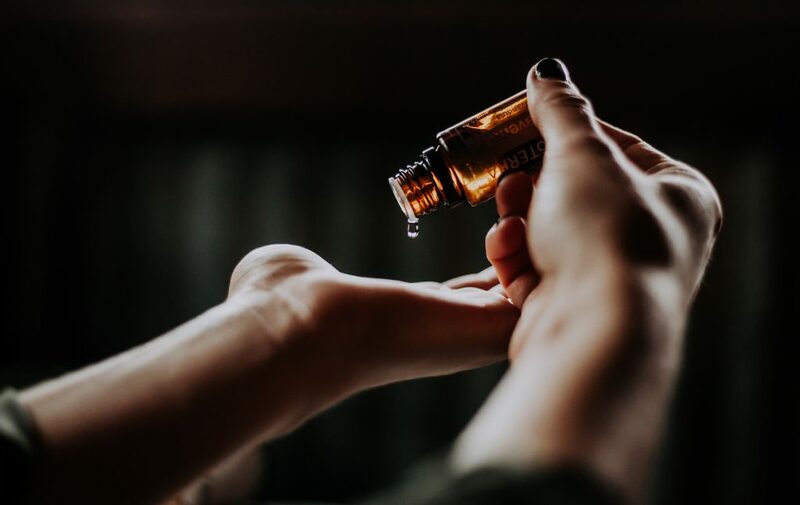 If you’re getting creative, it is important to help your chosen essential oil(s) to disperse by placing them in a base or carrier oil: this will also avoid any possible skin irritations from direct contact oil-to-skin. In addition, a carefully chosen base oil will help to naturally moisturise and nourish the skin. Examples are apricot oil, safflower oil or olive oil. [N.B. some essential oils will irritate skin and/or mucous membranes so should be avoided in bath creations – e.g. clove, cinnamon, spearmint. 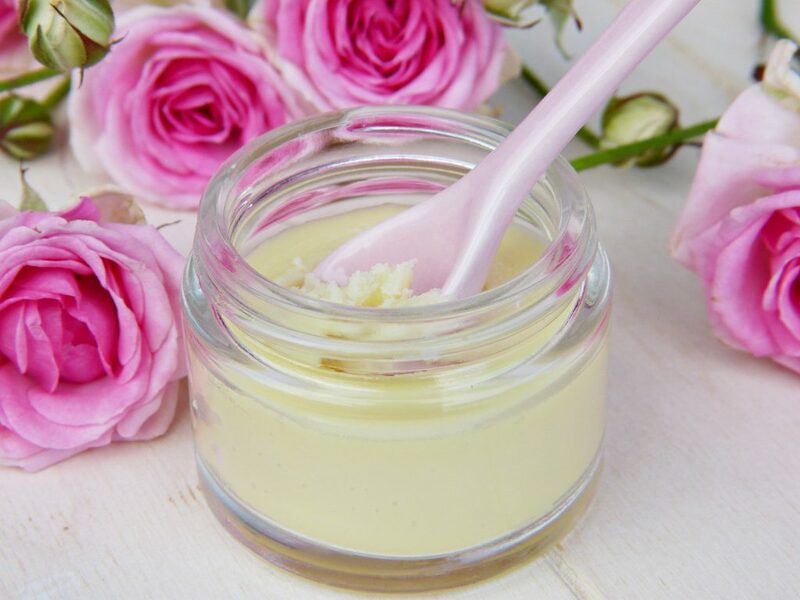 Try starting with some of the milder options which are definitely kind to skin, such as lavender, rose or chamomile]. 3. The fragrances typically used in cosmetics can also emit endless pollutants: in a world so heavily populated by cars (meaning that burning of fossil fuels – and therefore air pollution – is ever on the increase), surely it makes sense to replace chemical fragrances with a more natural alternative where possible? Try products containing essential oils, which will produce a wonderful fragrance (opening a bottle of lemon or orange essential oil is EXACTLY like cutting the fruit in front of you & drinking in those wonderful scents). Additionally, these oils are derived from nature, and if used carefully can offer a myriad of benefits for both mental & physical health. Many are naturally antiseptic, anti-inflammatory, anti-microbial, and they are also believed to balance mood, to help boost immunity and influence hormones… Why oh why use chemical fragrances when you could choose essential oils which will genuinely enhance health holistically? 4. Our 21st century mania with keeping “clean” to avoid picking up bugs and viruses seemed innocent enough, and certainly explained soaring sales of anti-bacterial hand washes. Since 2017 however, when the American Food & Drug Administration (FDA) pointed out the potential health risks these gels and liquids present, many of them were banned in the US. The two ingredients that were deemed especially worrying were triclosan and triclocarban, but there were in fact a total of 19 suspect ingredients. Washing hands WELL in plain soap and water is actually just as effective and far less damaging, but if you’d like a further boost, guess what my fave suggestion might be? Oh yes, it’s essential oils!! So many of these oils are anti-bacterial, and by using them you will of course reap many other health benefits. Click here for more. 6. If you use exfoliators this should be looked at both in terms of your own health and that of the planet. Most commercially produced scrubs contain microplastics which are massively damaging to our planet and by default to ourselves. Alternative options might be oats, apricot kernels, ground rice, crushed seeds, or sea salt (for a body scrub rather than for more delicate facial skin). This really is a post which could go on forever, but I feel I have covered those self-care products which I feel most strongly about, and those which come up in conversation with clients most often. Taking on the task of switching ALL your products may seem like a mammoth job, so do be realistic and try making the change bit-by-bit. Similarly overwhelming is the job of deciding which products to change to, especially when labelling is often less than helpful in this sector. For a reliable guide to more ethical and genuinely natural products click here. If it does all seem a little insurmountable, try to see it as a fun process: the chance to explore new products that will smell & feel fabulous as well as being good for you! And hold on too to the fact that you are making a decision which is powerful on so many levels. You will be reducing your own stress levels, enhancing both your physical and mental wellbeing, and encouraging the health of our beautiful planet as well: surely that is a decision worth making. So go on, take the plunge and start to make that change…TODAY.